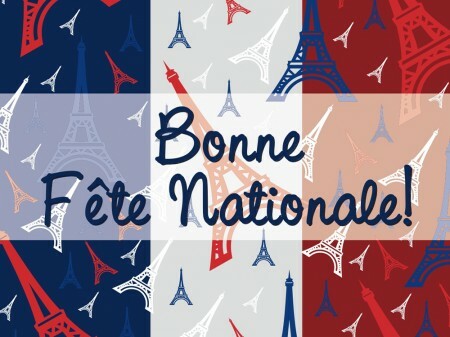 Today is Bastille Day, or as the French call it, la Fête Nationale or le quatorze juillet, the anniversary of the storming of the Bastille on 14 July 1789, the flashpoint of the French Revolution that symbolizes the birth of the modern nation. So basically the French version of the fourth of July, only slightly bloodier and with more presidential garden parties. In honour of the French’s national holiday, I’ve put together a list of three French novels that will get anyone in the spirit. Description – Moral allegory and spiritual autobiography, The Little Prince is the most translated book in the French language. With a timeless charm it tells the story of a little boy who leaves the safety of his own tiny planet to travel the universe, learning the vagaries of adult behaviour through a series of extraordinary encounters. His personal odyssey culminates in a voyage to Earth and further adventures. 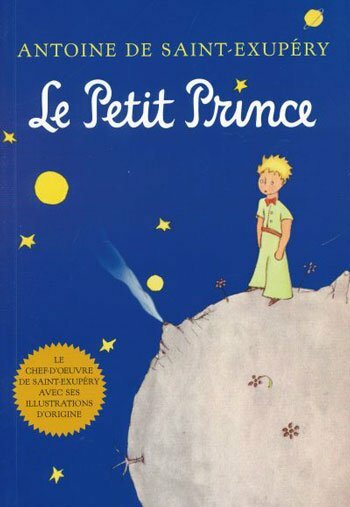 Seeing as it’s the most read and most translated book in the French language, not to mention one of the best-selling books of all time, you’ve probably already read the gorgeous, absurdist, heartbreaking novella The Little Prince. But you should probably read it again. Description – One of the most celebrated & popular historical romances ever written. 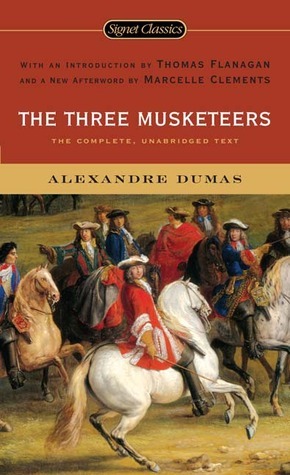 The Three Musketeers tell the story of the early adventures of the young Gascon gentleman d’Artagnan & his three friends from the regiment of the King’s Musketeers-Athos, Porthos & Aramis. Description – A story of burgeoning womanhood and blossoming love, Colette’s masterpiece reveals the author’s grasp of the politics of relationships. 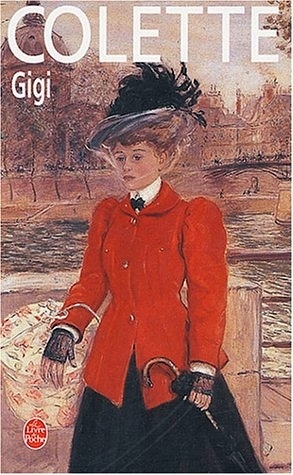 With music, drama, and the charm of French-inflected English, this unabridged novella follows Gigi’s training as a courtesan. Leslie Caron, the star of the best-loved film based on Gigi brings to life the Paris of 1899 in all its sensuous detail. They thought he was gone, but they were wrong. Jack the Ripper is loose in London once more. Scotland Yard’s Murder Squad faces the most shocking case of its existence, in the extraordinary new historical thriller from the author of the acclaimed national bestsellers The Yard and The Black Country. London, 1890. A small group of the city’s elite, fed up with the murder rate, have made it their business to capture violent criminals and mete out their own terrible brand of retribution. Now they are taking it a step further: They have arranged for four murderers to escape from prison, and into the group’s hands. But the plan goes wrong. The killers elude them, and now it is up to Walter Day, Nevil Hammersmith, and the rest of Scotland Yard’s Murder Squad to hunt the convicts down before they can resume their bloody spree. But the Murder Squad may already be too late. The killers have retribution in mind, and one of them is heading straight toward a member of the Murder Squad, and his family. And that isn’t even the worst of it. During the escape, one of the killers has stumbled upon the location of another notorious murderer, one thought gone for good, but who is now prepared to join forces with them. And Saucy Jack has learned some new tricks while he’s been away. I thought this was going to be a gripping historical police procedure, but the only thing gripping about it were my hands on the cover to stop me throwing it across the room unfinished. Yes, I was disappointed in this book, and have read far better thriller/mysteries from Authors who are releasing their works to the reading public for the first time. 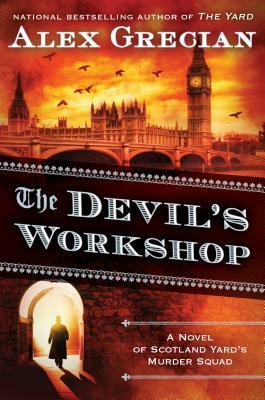 However, this really isn’t just one book as there is the main story that centres around the Scotland Yard Murder Squad shortly after the Ripper killings, and then there is the secondary, and in my mind much more enjoyable story, about the criminals the squad are pursuing. The main character was not at all likeable, and in fact came across as a bit of a wimp at times. The Author apparently wanted him to appear as a stalwart of Scotland Yard but in the end he appeared to be nothing more than a self-righteous man. He was very much in awe of his mentor, even though this man had left the force under a cloud, he deferred to him at every turn even when he had made it clear it was not the right thing to do. His indecisiveness was definitely at odds to the character I had expected in one of his importance when embarking on this book. 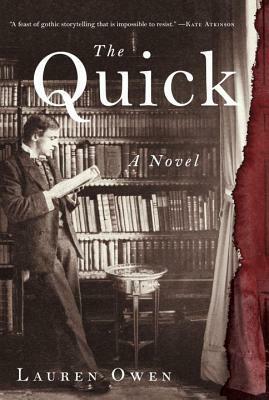 On the flip side, I found his ‘sidekick’ to be a lot more interesting and likeable, and found myself wanting to read more about him than his Inspector. He was full of energy and stuck to a single course once his mind was made up, even if this meant going against the wishes of his superiors; the Author gifted this character will the kind of mind I had expected in the main protagonist and, rather than it being annoying to find in a secondary player, I found it one of two things that kept me reading to the end. As to the villains their story made the hair on the back of my neck stand up in places. Through a great deal of imagination and maybe some psychological research, the Author was able to bring these criminals to life in all their shocking and violent glory, while at the same time showing that you can never truly spot evil when it walks among us. It was the tale of the criminals that produced the second reason I kept reading. From a historical point of view there was obviously a great deal of research done into the time period in which the novel is set, although at times the descriptiveness of locations did have a tendency to take over the page and pull my attention away from what was actually happening. I’m not sure if it is just me, and there may be readers out there who enjoy this, but I do like sentences in a novel to be more than a few words long, and flow in a manner that does not make me feel as if I were on a tiny boat on a choppy sea. Not all the sentences were written in this way, and it was a relief to come across those that had a nice flow and rhythm to them; only to have this taken away shortly after and be back in my storm-tossed boat. I now know this is the third book in the Murder Squad series, but to be quite honest that doesn’t really matter to me as I doubt that I will read anymore by this Author. I’m also slightly hesitant in recommending this book to anyone, but if you do like a police procedural mixed in with some history you might want to take a look at this book. If this novel had been written purely about the criminals, from their point of view of themselves and the world they walked through, this book would definitely have rated more thumbs than it did. 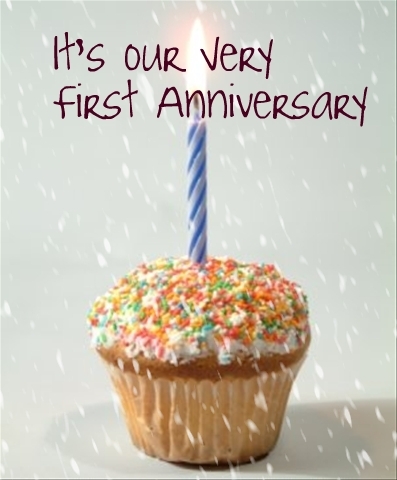 Our First Anniversary Is Coming Up!! June 17th sees the first anniversary of Cate’s Book Nut Hut, and what a year it has been. Has time has gone by there have been alterations to the site itself, and changes in the frequency of my postings so as not overload those who read the reviews. Fittingly, the 1st anniversary is celebrated with a gift of paper, so you can all assume correctly I’ll be heading to the bookstore. Next week the three days of posting will be given over to three Authors whose work I have reviewed in the ‘Hut’ over the past year. I hope you enjoy their words, as much I have in not only reading their work but the pieces they have submitted for you all to read. If there is any genre of book I’ve not covered in the past 365 days, and you would like me to take a look at a book that you think maybe interesting, just contact me with the title and I’ll take it from there. Thank you all for sticking with me this past year, and here’s to more to come! 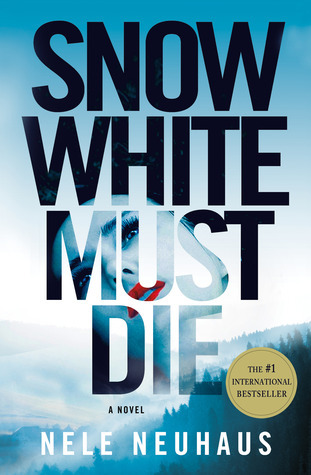 Snow White Must Die by Nele Neuhaus is a tremendous new contemporary mystery series and huge international bestseller—with more than 3.5 million copies in print! On a rainy November day police detectives Pia Kirchhoff and Oliver von Bodenstein are summoned to a mysterious traffic accident: A woman has fallen from a pedestrian bridge onto a car driving underneath. According to a witness, the woman may have been pushed. The investigation leads Pia and Oliver to a small village, and the home of the victim, Rita Cramer. After reading Stieg Larson’s Millennium trilogy, and also listening to it on audio book (which made the hairs on the back of my neck stand on end), I was eager to read another ‘import’ of the same genre regardless of the country or origin. I was intrigued to see if the aforementioned book was a rarity in that it translated well, or whether there was a new generation of foreign Authors whose works also responded with the same impact; I’m glad to be able to say that this book checked all the blocks. It would be unfair to compare this novel with Larson’s work, as they are not alike in any way apart from the fact they are well worth picking up and reading. It wasn’t until I was mentally bemoaning the lack of character development in this book that I realised I had entered the world of the two main protagonists four books into their story, and so based on this I had to take them at face value. Again I was not disappointed; all the characters in this novel are tightly and expertly written, with all their European mannerisms and quirks translating wonderfully for the American reader. As I read about the characters, some of these mannerisms brought to mind our time living in Germany and actually made me miss it somewhat. The two main characters are very reminiscent of Lynley and Havers from the books by Elizabeth George, but a lot less gentile and polite, and it was this kind of familiarity that made me warm to them even more. The complexity of the plot grows as the reader progresses through this mystery, but due to the skilful handling of the Author it does so without throwing too much information too quickly at the reader. Like a fly fisherman, this Author plays with the reader through hints and innuendos, but never reveals anything early than is necessary for the continuation of the storyline. Because of this, and even though it is number 4 in a series, this novel works exceptionally well as a standalone read; one that will have the reader promising themselves just ‘one more chapter’ well into the night. I will definitely be reading more by this Author, and hope that my German skills are up to the task, if not I will just have to pray to the literary gods that they translate the other books in this series. I would highly recommend this novel to anyone who is looking for a gritty and often brutal police procedure and also those who enjoy and good mystery/thriller. 10 Book sequels you probably didn’t, or wished you didn’t, know existed. We bookish folk are a strange breed; we think nothing of eagerly looking forward to the next instalment or sequel from our favourite Authors, but moan and mutter when Hollywood brings out Mission Impossible XVI (I know we haven’t got that far yet, but it’s coming). I’ve put together a compilation of several classic stories have strange follow-ups you’ve never heard of, or if you’ve read them may wish you hadn’t. Comment ~ I have to say I love this book. 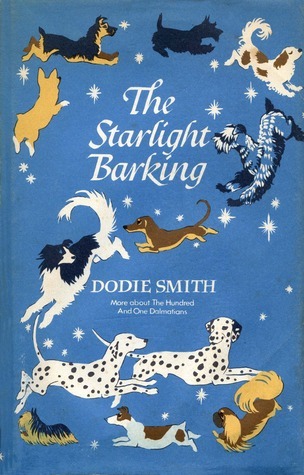 The Hundred and One Dalmatians never captured my imagination as a child as much as this one; I read it so many times the cover eventually gave out, while its prequel sat untouched after on e read on my shelf. Strange changes are taking place in Village. Once a utopian community that prided itself on its welcome to new strangers, Village will soon be closed to all outsiders. As one of the few people able to travel through the dangerous Forest, Matty must deliver the message of Village’s closing and try to convince Seer’s daughter to return with him before its too late. But Forest has become hostile to Matty as well, and he must risk everything to fight his way through it, armed only with an emerging power he cannot yet explain or understand. An extremely popular book for middle school students, Lois Lowry’s The Giver has become an instant classic in the 20 years since its publication. Countless children have been assigned essays about how they interpreted the book’s ambiguous ending, but they could have saved some time and just read the book’s two (with a third on the way) sequels instead. 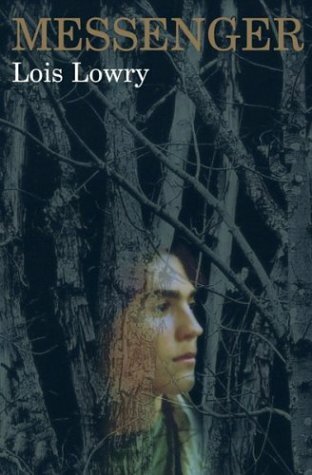 The first sequel, Gathering Blue, is only tangentially related to The Giver by being set in the same universe. However, the following book, Messenger, ties the two together. Better known for her novels Little Women and Little Men, Louisa May Alcott continued the story of her feisty protagonist Jo in this final novel chronicling the adventures and misadventures of the March family. 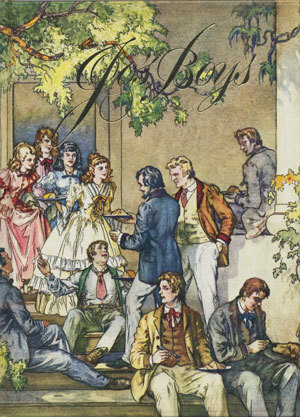 Entertaining, surprising, and overall a joy to read, Jo’s Boys is nevertheless shaded by a bittersweet tone, for with it Alcott brought her wonderful series to an end. Beginning ten years after Little Men, Jo’s Boys revisits Plumfield, the New England school still presided over by Jo and her husband, Professor Bhaer. Jo’s boys — including rebellious Dan, sailor Emil, and promising musician Nat — are grown; Jo herself remains at the center of this tale, holding her boys fast through shipwreck and storm, disappointment… and even murder. Popular for more than a century, the series that began with Little Women continues to hold universal appeal with its powerful and affectionate depiction of family — the safe haven where the prodigal can always return, adversity is never met alone, and our dreams of being cherished, no matter what our flaws, come true. Comment ~ This series was another well loved set of books on my childhood bookcase, and I remember crying almost to the point of hysterics when I came to the end of Jo’s Boys knowing there would be no more. Thirty-three years and over ten million copies later…the classic story continues. 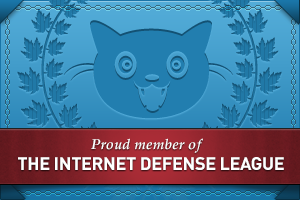 Yossarian returns — older, if not wiser — to face a new foe. An instant classic when published in 1961, Joseph Heller’s Catch-22 still ranks among the funniest — and most serious — novels ever written about war. 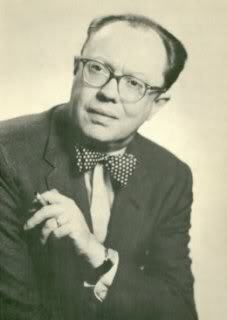 Now Heller has dared to write the sequel to his 10-million copy bestseller, using many of Catch-22’s characters to deftly satirize the realities and the myths of America in the half century since they fought World War II. 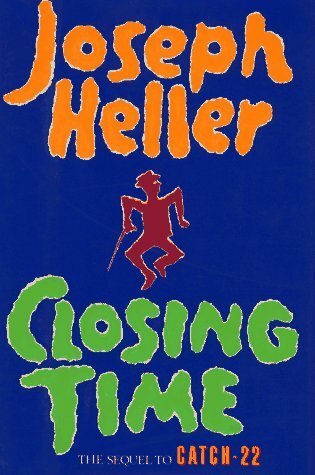 In Closing Time, a comic masterpiece in its own right, Heller spears the inflated balloons of our national consciousness — the absurdity of our politics, the decline of society and our great cities, the greed and hypocrisy of our business and culture — with the same ferocious humor that he used against the conventional view of warfare. Back again are characters familiar from Catch-22, including Yossarian and Milo Minderbinder, the chaplain, and little Sammy Singer, as they come to the end of their lives and the end of the century — all linked, this time, in uneasy peace and old age…fighting not the Germans, but The End. 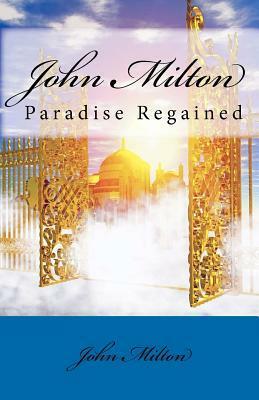 In purely poetic value, “Paradise Regained” is little inferior to its predecessor. There may be nothing in the poem that can quite touch the first two books of “Paradise Lost” for magnificence; but there are several things that may fairly be set beside almost anything in the last ten. The splendid “stand at bay” of the discovered tempter — “‘Tis true I am that spirit unfortunate” — in the first book; his rebuke of Belial in the second, and the picture of the magic banquet (it must be remembered that, though it is customary to extol Milton’s asceticism, the story of his remark to his third wife, and the Lawrence and Skinner sonnets, go the other way); above all, the panoramas from the mountaintop in the third and fourth; the terrors of the night of storm; the crisis on the pinnacle of the temple — are quite of the best Milton, which is equivalent to saying that they are of the best of one kind of poetry. — The Cambridge History of English and American Literature. 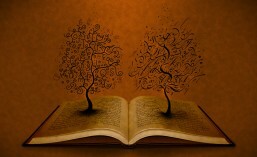 Comment ~ I have to admit I’ve not read either of these; maybe I need to rectify this. 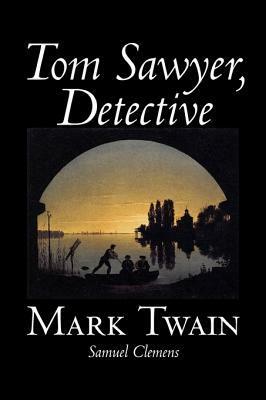 Comment ~ I was not aware there was a series, and enjoyed the Huckleberry Finn and first Tom Sawyer books. These will now be on my to read list. 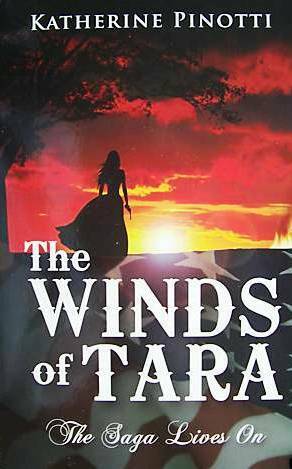 The most infamous love affair of all times continues on with The Winds of Tara. Scarlett O’Hara, headstrong and beautiful, contrives to win back the love of her estranged husband and children. Broken hearted, she returns home to Tara, only to find the plantation in jeopardy by a greedy overseer and her sister’s reputation threatened. Determined to succeed against overwhelming odds, she spins a web of lies and deceit that force her to choose between the man she loves, and breaking a solemn promise that would expose a secret that could destroy her family’s honor forever. Margaret Mitchell’s beloved Southern romance was not only one of the most famous books of the last century, but also spawned one of the most popular films to boot. The book has four sequels, with varying levels of authenticity. The first, Scarlett, was an authorized sequel by Alexandra Ripley and was widely panned. A second that ignores Scarlett, Rhett Butler’s People, is a re-telling of the original novel from Butler’s point of view by author Donald McCraig. Then there are the unauthorized sequels: The Wind Done Gone by Alice Randall is a satirical re-telling from the perspective of an O’Hara family slave. Finally, The Winds of Tara by Katherine Pinotti is a direct sequel to the original that the Mitchell family legally blocked from publication in America. Mowgli, the man-cub who is raised by a wolf-pack, is the main character in The Second Jungle Book which contains some of the most thrilling of the Mowgli stories. It includes “Red Dog”, in which Mowgli and the python Kaa form an unlikely alliance, “How Fear Came” and “Letting in the Jungle” as well as “The Spring Running”, which brings Mowgli to manhood and the realisation that he must leave Bagheera, Baloo, and his other friends for the world of man. 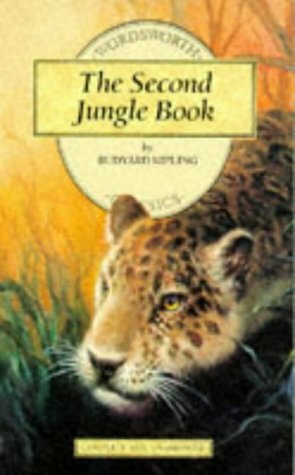 A year after The Jungle Book’s release, Kipling wrote a follow-up book called The Second Jungle Book, featuring five further adventures of Mowgli and his friends. Although Disney made an animated Jungle Book 2 and a live-action film called The Second Jungle Book: Mowgli and Baloo, neither actually follows the plot of The Second Jungle Book. The premise of The Last Ring-Bearer is the proverb “history is written by the victors”, and that the Tolkien account is just that – the history as dictated by the victorious side. 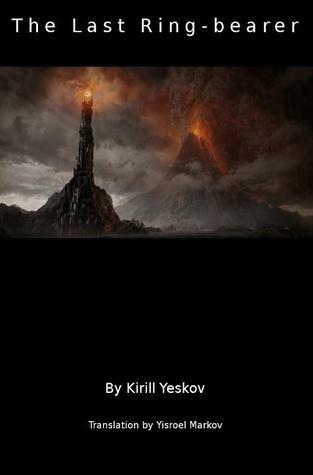 In Eskov’s version of the story, Mordor is described as a peaceful country on the verge of an industrial revolution that is a threat to the war-mongering and imperialistic faction represented by Gandalf (whose attitude has been described by Saruman as “crafting the Final Solution to the Mordorian problem”) and the elves.